A lot of our users at time submit support tickets asking us if specific features are available on our infrastructure, here at Hosixy we’re different than a lot of the other hosting providers that exist, not only do we provide one of the best support in the hosting industry at the moment, not only do we provide highly stable services we also provide services packed with features that no other provider offers! Before we continue with this feature spotlight we’re looking on your feedback on whether you’d like to see automatic WordPress updates to the WordPress Core and Plugins implemented to our shared & reseller services, this is something we’ve been considering for a long time now and we’d like to see your feedback! Please provide your vote in the poll below. Would you like automatic Wordpress Core & Plugin updates enabled on our shared & reseller hosting services? In this feature spotlight we’ll concentrate on our Shared and Reseller hosting services and all the behind-the-scene features that are available with all of our packages by default (feature spotlights for the rest of our services will be published in the next weeks). This is just part 1, we’re going to be doing additional parts as we add even more features to our infrastructure. We’re sure you may not know of all the features included in our packages so we’re hoping this helps with further insight! Backups, a critical issue is backups – all of our shared and reseller hosting services get backed up once a day and we keep 30 days worth of backups at all times. Ofcourse this doesn’t mean you shouldn’t take your own backups, we always recommend keeping your own backups aswell stored on your local computer or at a popular file hosting service. A lot of users have been asking us over time, what type of backups we keep – we keep a backup of your whole cPanel account including your emails, files and databases and all accounts get backed up unrelated of size or amount of files, all accounts are backed up including the really small accounts and the really huge accounts. The backups are performed to remote servers and are available at any time to us. No inode limits – When we created our packages we created them with one thing in mind, to be able to provide a stable service – none of our packages have any Inode limits – the disk space you have been assigned with is your’s to use up to the last byte and we don’t have any Inode limits nor limits on what you can and can’t store on our servers as long as its legal. LetsEncrypt enabled by default – All of our shared and reseller packages have LetsEncrypt enabled by default, LetsEncrypt SSL certificates are installed automatically within 24 hours after you’ve pointed your site to our nameservers – if you point your site to our nameservers before you add your domain to our servers you may even get an SSL instantly generated and installed! SSH / SFTP access – All of our packages come by default with SSH & SFTP access enabled, this is a feature recently enabled due to many requests but also as we want to set SFTP as the standard over FTP, SFTP stands for Secure FTP. 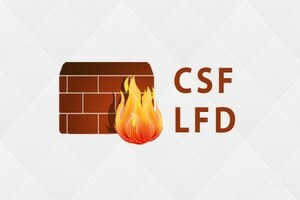 SFTP is a lot more secure and stable than FTP and works over one specific port instead of FTP that works over thousands of ports which sometimes causes issues with local firewalls and some ISP’s. To connect over SFTP instead of FTP you just need to enter your host as sftp://SERVERIP or sftp://domain.com – this will connect over SFTP so you can benefit additional security and a lot more stable. Ioncube by default – You heard right! Ioncube is enabled by default on all of our shared and hosting packages. Ioncube at the time of writing is available for PHP 5.4, 5.5, 5.6, 7.0. PHP 7.1 does not support Ioncube at this time. Increased PHP limits by default – Our servers are optimized in such a way that we are able by default to offer increased PHP limits. Our max_execution_time is set to 3600 and our memory_limit is by default set to 512Mb. Most other hosts would require you to perform additional changes, we set these by default on all shared and reseller accounts. Additionally, you can even increase these limits even higher through our easy to use interface available in your cPanel under Software > MultiPHP INI Editor. Sessions – cPanel clears all sessions every 24 minutes, we understand how inconvenient that is – think about working on your site and going to lunch and coming back to continue your work only to find out that you’ve lost your work because the session expired and you’ve been logged out! We deal with this by increasing the validity of sessions to 24 hours instead. Mod Security – Like many other hosts we also use Mod security on our servers however we have it configured in a way that only blocks hack attempts and doesn’t block you from making changes to your site – there are sometimes some false positives though however, we will gladly add an exception for the rule you are hitting. If you don’t particular like Mod security you can also disable it through your cPanel under Security > Mod security. Mod security helps prevent a lot of hacking attempts and since its implementation, we’ve seen an over 80% decrease of hack attacks particularly on WordPress sites. Antivirus enabled by default – We include Clam Antivirus on all cPanel’s, with the Antivirus you can quickly perform a virus scan on your account. We also perform our own malware and virus scans both in realtime mode aswell as every 24 hours. Our client area integrated with cPanel – Probably not as much of an important feature as the ones we’ve described above but our client area is fully integrated into cPanel to allow for quick access to your client area. Softaculous included – All of our packages include Softaculous with hundreds of apps ready to be installed with just a few clicks. CloudLinux – A lot of our competitors use CloudLinux, we don’t use CloudLinux and we’re proud to not use it! CloudLinux artificially limits sites and slows them down causing errors and downtime – we don’t use CloudLinux as our experienced System Administrators monitor servers proactively and reactively and we have no need to artificially slow down sites. PHP-FPM – We like being in front of all our competitors as such all of our servers use PHP-FPM already! this is a relatively new feature however the stability and speed are second to none! Latest cPanel – always! we always use the latest cPanel version available and we keep our servers up to date at all times! Pure SSD – All of our servers run with Pure SSD drives, we don’t use any mechanical drives, Pure SSD drives are the future and we’re happy to be part of the future. Pure SSD allows for better speeds in comparison with mechanical drives. Only 150 sites per server – We’ve constructed our service in such a way that we can have 150 sites per server, we don’t cram thousands of sites on our sites like some of our competitors – we only host up to 150 sites per server which makes sure you experience the best speed and stability possible! 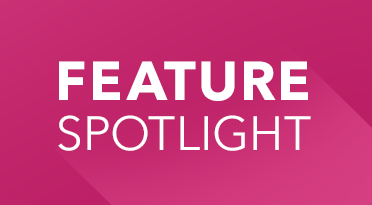 This concludes our first part of our new Feature Spotlight series, we add new features all the time to our services and continue to enhance our servers to continue offering the best hosting services! There’s also probably lots of other features we forgot to include in this post so we’re likely going to be publishing part 2 quite soon. Order your next shared hosting from Hosixy and experience the Hosixy difference!